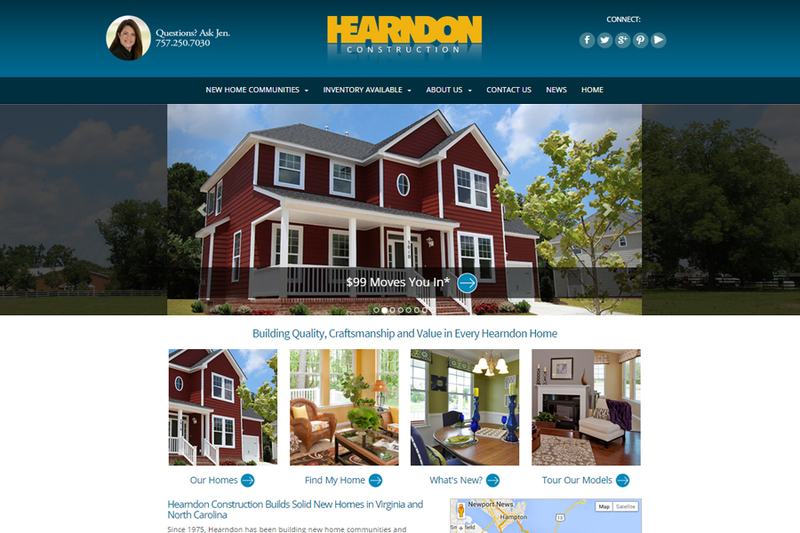 We recently launched a new website for the nice folks at Hearndon Construction, known for quality yet affordable homes with many special features that are standard. The site is now responsive so it works well on tablet and phone and has new features to make the shopping experience easier. Features include a Home Search section that displays all inventory with selected criteria to narrow down your search results. As prospects are viewing detail on a select home, additional options are shown for faster shopping. The new search area includes an admin tool for Realtors to edit inventory in page view and map view. The interactive maps and floor plans have a zoom feature, making navigation easier on kiosk monitors as well as tiny smartphone screens. Hearndon is now building at Dominion Meadows in the Grassfield area of Chesapeake and will have some new communities coming soon.